How to make the ultimate oatmeal cookie better? Add a hint of orange, load it full of coconut and plump raisins. Sorry Mom for dissin' your cookies, but do you make your oatmeal cookies with just a hint of orange? Or, are you more of a Stuck-in-the-Fifties-Vanilla-Extract-Gal? 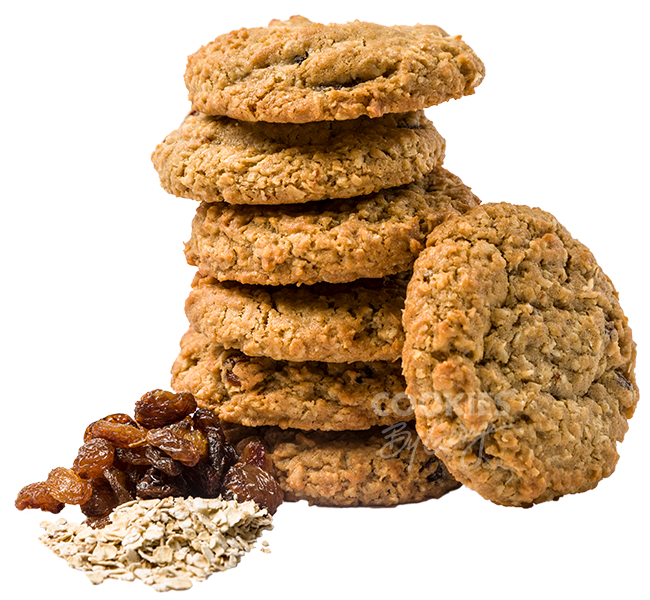 Are your cookies loaded with oatmeal, coconut and plump dark raisins? You know I love you Mom, but are your Oatmeal cookies insanely rich and chewy like mine? Trace amounts of soy lecithin & sulphites (coconut/flavor). Brown sugar, flour, oats, margarine, dried sweetened coconut, eggs, raisins, butter, cream, natural flavour, baking powder, baking soda, salt.